February | 2015 | ohdenny. 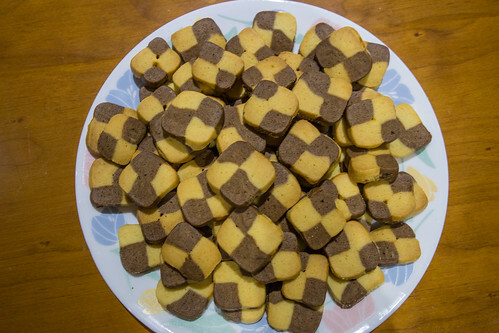 There are these checkered cookies that my mother used to buy for us as kids growing up. I love the look of the cookies with its contrasting colours and the buttery goodness of the biscuits. We received a gift of these biscuits from Malaysia one day and it spurred me to try making it myself. Not an easy task mind you. I found this wonderful recipe from Cook & Be Merry with amazing photos to boot. 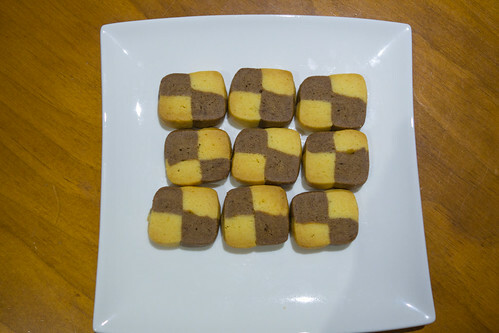 Being a perfectionist in this instance is probably for the better but alas I was a bit pressed for time so my “checkered” cookies were a bit more individualistic. Loved the taste of them though! 1. 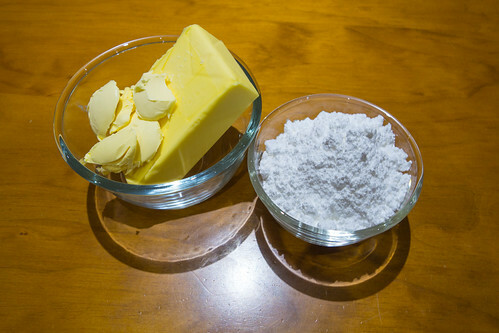 In a large bowl or a mixer, beat the butter, sugar and salt until well mixed, light colored and fluffy, about 2 minutes, then beat in the vanilla and egg yolk. Keep beating until very smooth, about 2 more minutes. 2. 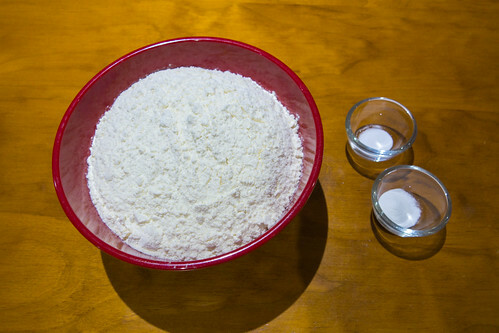 Scrape the bowl and beat in the flour. Cover and chill the egg white until needed. 3. 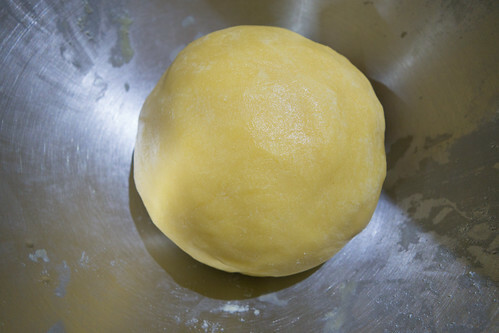 Scrape dough from the bowl onto a lightly floured work surface and press into a 2.5 cm (1 inch) thick square. 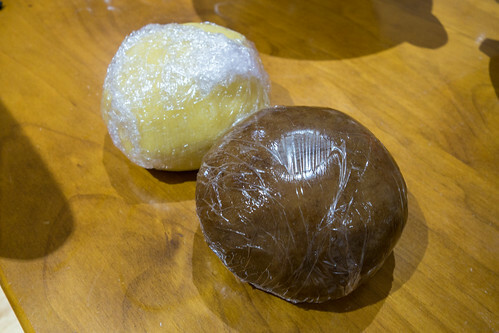 Wrap in plastic wrap and chill until firm, several hours or up to 3 days. 1. 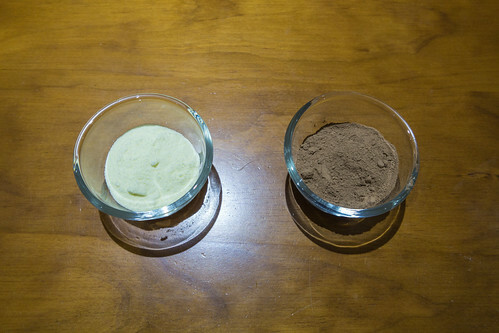 In a bowl, combine the flour, cocoa, baking soda and salt. 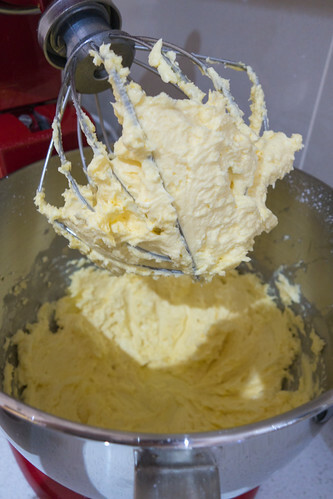 Stir well with a whisk to mix. 2. 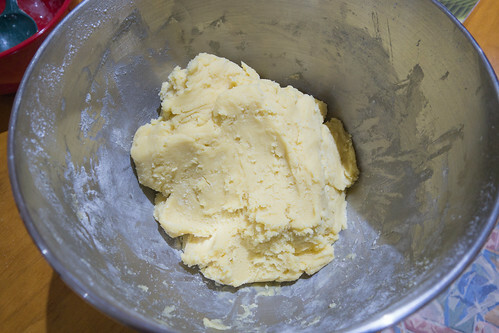 In a large bowl, beat together the butter and sugar with a fork until well mixed and fluffy, about 2 minutes. 3. 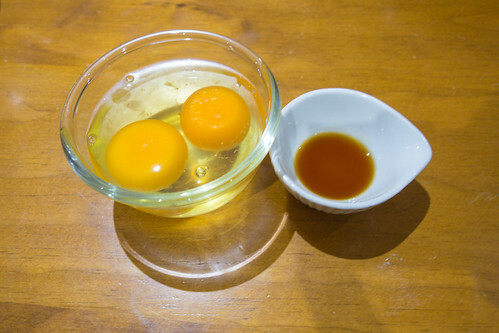 Beat in the vanilla and egg until the mixture is very smooth, about 2 minutes longer. 4. Mix in the flour mixture until well combined. 5. 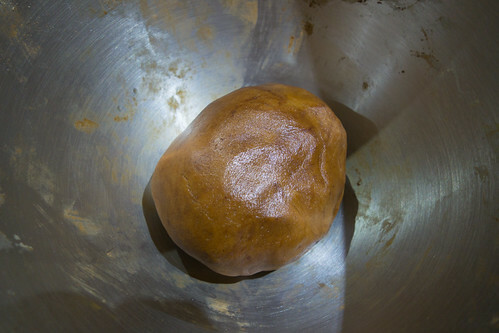 Form the dough into a ball and press into a 2.5 cm (1 inch) thick square. Wrap in plastic wrap and chill until firm, several hours or up to 3 days. 1. 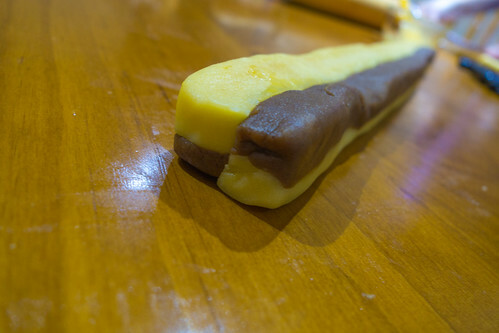 Unwrap the Vanilla Cookie dough and roll it out on a floured parchment sheet on work surface into an 20×30 cm (8×12 inch) rectangle about 1 cm (3/8 inch) thick with square corners. Slide dough on parchment onto a cookie sheet, cover securely with plastic wrap and refrigerate for about 30 minutes until firm again. Do the same with the Chocolate Cookie dough. 2. 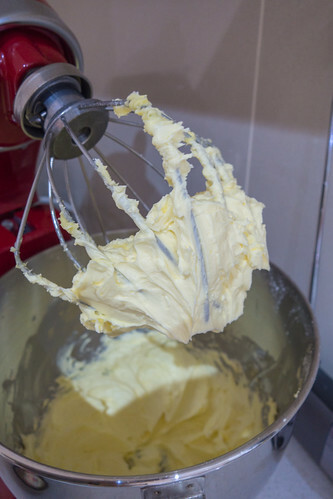 Place the unwrapped vanilla dough on parchment on your work surface. 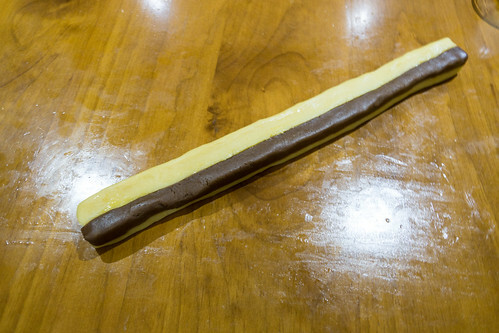 Paint with the egg white and place the chocolate dough on top, parchment side up. Place a cookie sheet on the stack and gently push down so the two layers stick together. 3. Cut the dough rectangle in half through the parchment so you have two 20×15 cm (8×6 inch) rectangles. Paint the top of one rectangle with egg white and put the second rectangle on top so the four layers are alternating black and white. Press gently with pan to help stick together. With a sharp knife, trim the four sides so they are straight and square. Wrap and chill for several hours, keeping the corners square. 4. Place unwrapped dough stack on cutting board with the 20 cm (8 inch) side facing you. With a sharp knife, cut the 15 cm (6 inch) side into sixteen 1 cm (3/8 inch) thick slices. 5. Place one striped slice on the cutting board and brush it with egg white. Turn the next slice over and place it on top of the first slice so the stripes are alternating in color. Repeat two more times so there are four layers with alternating colors and the end looks like a checkerboard. 6. Make three more stacks with four slices each. Wrap each stack in plastic wrap and gently press each side with the pan to square it. Refrigerate on cookie sheet for several hours or freeze for future use. 7. Preheat the oven to 170 degrees Celsius (350 degrees F) with racks in upper and lower thirds of the oven. 8. Slice the cookies to roughly 1/2 cm (1/4 inch) thick, turning the stack after each cut so it doesn’t become flat from the knife pressing down. 9. Place cookies on parchment covered pans one inch apart and bake for 9 to 11 minutes until firm to the touch. Slide the parchment with the cookies onto a rack or countertop to cool. Store in one layer between parchment in air-tight container. 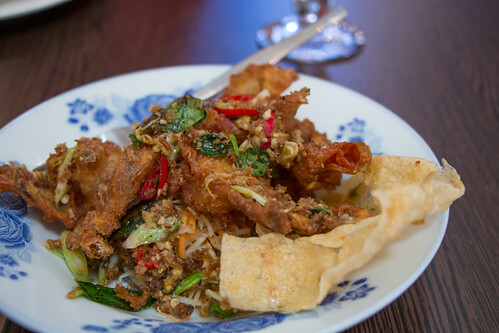 Masak Ku is situated just minutes away from Camberwell train station and on the busy Burke Road. Masak Ku in Malay is translated to as “cooked by” if you’re curious. 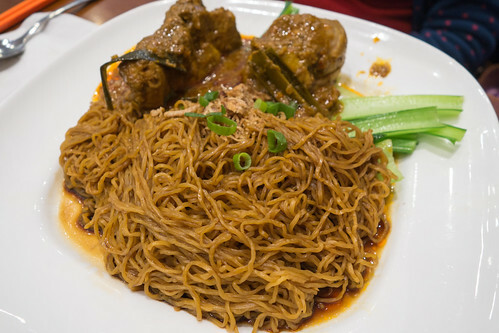 Masak Ku serves Malaysian cuisine with influences from Malay, Chinese and Indian cuisines as Malaysian dishes usually are in one way or another. It’s not your typical Malaysian restaurant as the ambiance and quality of the food caters towards a more upper market demographic but if the food is great, sometimes forking out that bit extra is worth it. 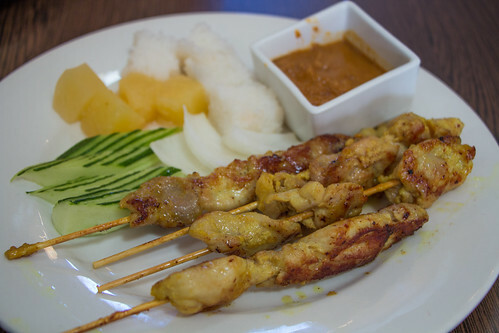 Masak Ku’s Chicken Satay’s are cooked to perfection, tender but cooked all the way through. They could have been a bit more generous with the satay sauce on the other hand and I prefer a bit more nuttiness to the sauce which I found to be lacking in oomph. One of the specials that wasn’t on the menu was the Soft shell Crab which had an amazing combination of flavours. Sweet, spicy, salty and with all that crispiness. One of the highlights for me. 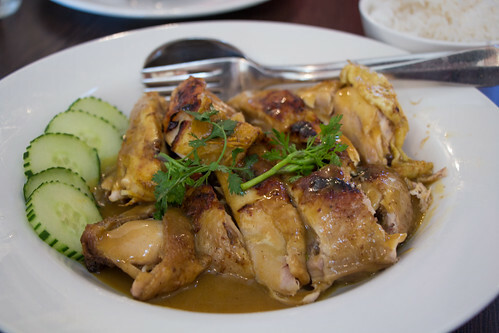 The Kelantan Chicken I found to be cooked well, the chicken was tender but the sauce didn’t impress. 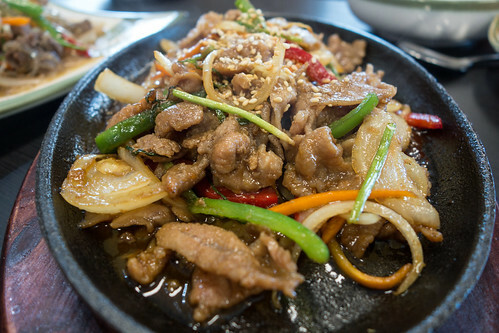 I liken it to the typical Soy Chicken that you may find in a BBQ Pork/Duck/Chicken Chinese restaurants. 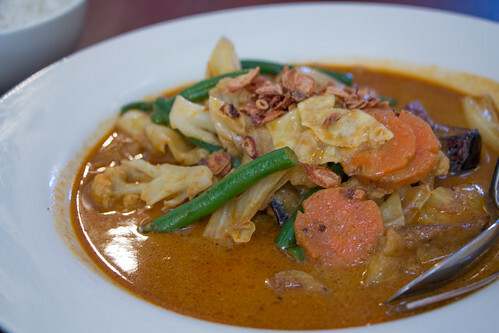 The Nyonya Vegetable Curry was also one of my favourites, the curry had enough spiciness and with the softened vegetables it makes for a delicious meal. Masak Ku’s Sambal Fish seemed promising on the menu, but overall I found it lacked flavour. Fish was cooked well, but the marinade used just wasn’t absorbed by the fish. Here they make their own Ice-Cream, and they have a few choices to select from. 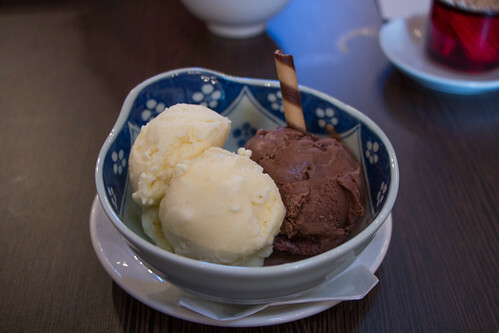 Such as Chocolate and Chilli Ice-Cream and Durian. The Ice-Cream here whilst flavourwise was fantastic, the ice-cream itself was particular ice-y, and not smooth and creamy as it should be. 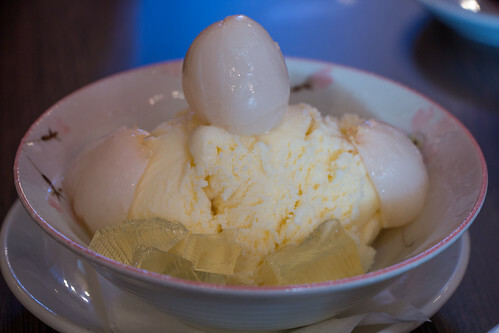 Their Lychee Ice-Cream with jelly was quite nice, the ice-cream smoother than the scoops we tried before it. However, still I found the Ice-Cream to be not as smooth as I would have liked. The food and service at Masak Ku is great overall, with some exceptions. I find it hard to justify coming here regularly as I wasn’t overly impressed with the dishes. Whilst the had great flavour to them, I can probably find as good as tasting dishes in other Malaysian restaurants for half the price. However, if price isn’t an issue and you want to try some Malaysian cuisine in or around Camberwell, Masak Ku will scratch your itch. 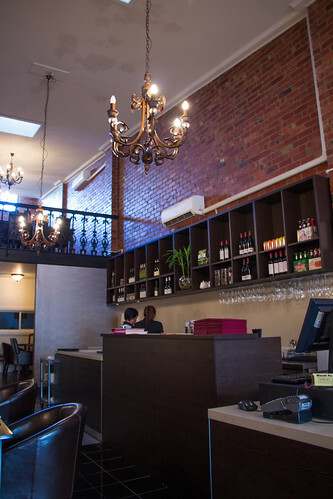 Hanbat Korean Restaurant recently opened its doors in Box Hill, in the predominantly Korean side of town (on Bank Street). According to the owners, Hanbat is from a famous franchise in Korea. Only doors down you can find Yami Yami and Korean BBQ as well as a Korean grocery store and hairdresser. It seems like the Korean community is certainly growing in Box Hill, much to my liking! I love Don-Udon‘s Jap Chae and that’s the standard I will uphold all other restaurants too. 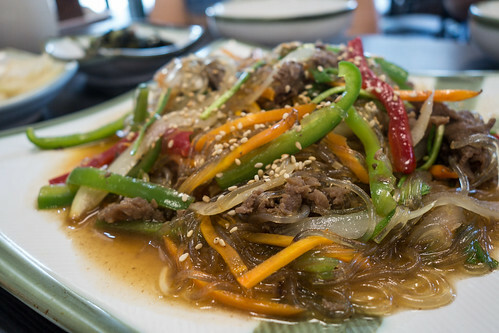 Here the Jap Chae just lacks that oomph in flavour, as well as being overly wet. It beats Crunch Box but no where near as delicious as Don-Udon. Their Pork Bulgogi isn’t too bad either, but again I find the flavour just lacking a tiny bit compared with the other Korean eateries around. 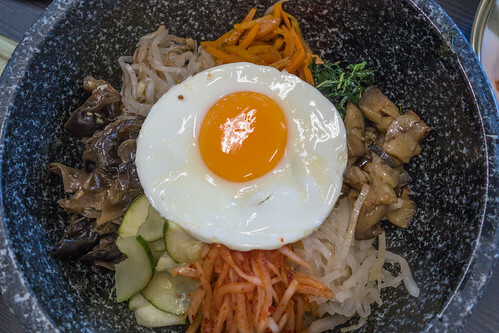 Their Hot Stone Bibimbap adds numerous fresh ingredients, and with the chilli sauce gives it the much needed kick. My only negative is probably the egg being slightly overcooked. 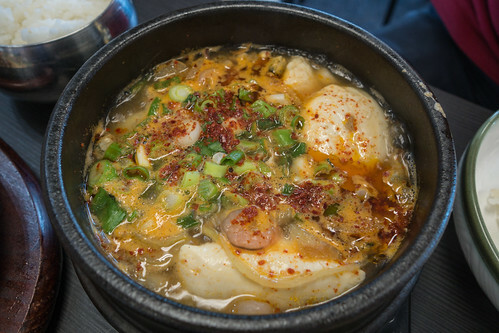 Hanbat’s Spicy Seafood and Tofu soup again isn’t my favourite, that award lies with By Korea in Richmond but taste wise it’s actually quite decent with the soft tofu and flavoursome soup base. Nothing to write home about but again I’d say a good dish. Overall, I wasn’t too impressed with the quality of the dishes served here. Which is unfortunate as you never want to dine at a place that disappoints and I want restaurants to succeed. However, it seems the food aren’t up to the standard of Yami Yami or Don-Udon in the area. I’m just hoping we were just unlucky and didn’t select their standout dishes. Petaling Street Box Hill re-opened its doors last year after what seemed like years when it unexpectedly shut down. 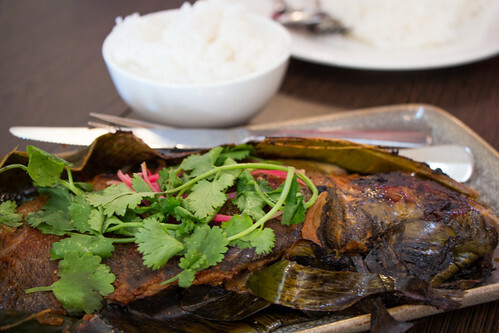 Today, the venue seats quite a large number of customers and marks a return of the Malaysian cuisine to the Box Hill food scene. Box Hill now offers a range of choices from what seemed like years of only Madam Kwong’s, with Straits of Malacca also having opened its doors last year. The Box Hill outlet serves the same menu options as its other Melbourne counterparts, but where it differs as you’d find with most outlets of the same name that the standard of the food varies. Their Ipoh Hor Fun is one of those differences unfortunately. The soup base lacks depth in flavour but general blandness in taste. I found myself in the situation where I needed to add soy sauce to the soup for taste. The chicken served also lacks flavour but at least it has a marinate. In most restaurants, the cut of chicken served would be a selection of cuts but mostly the tender and moist parts of the chicken with bones being mostly a small inconvenience. Maybe I’m just a bit lazy, but it’s something I often never seem to come across when I order a Ipoh Hor Fun. The Dry Curry Noodles (Chicken), at least has great curry flavour and sauce. 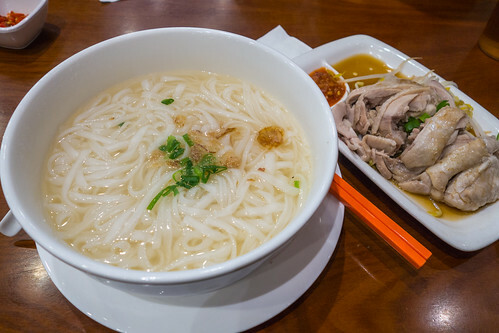 It’s rich, slightly creamy but still a tad spicy and goes well with the noodles. My only con is for a tiny bit more curry sauce to flavour the noodles as well. 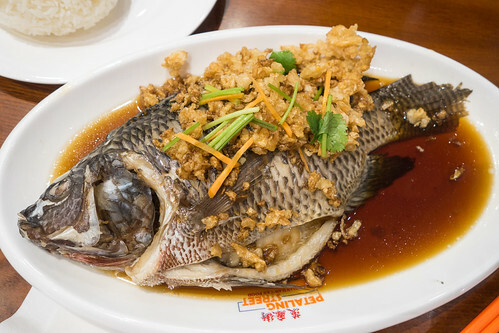 As with the other Petaling Street restaurants, they also offer fish as a menu item. Steamed and Fried varieties. Their Steamed Fish was surprisingly decent, the sauce was flavourful, but the balance wasn’t quite perfect. The garnish of these fried pieces adds a bit of crunch and is most welcome. Overall, I found Petaling Street to be slightly underwhelming. The food standard here isn’t as high or as tasty as you may find in Glen Waverley but I only hope as time passes, it gets better with age.